The most effective way to turn out voters is canvassing. 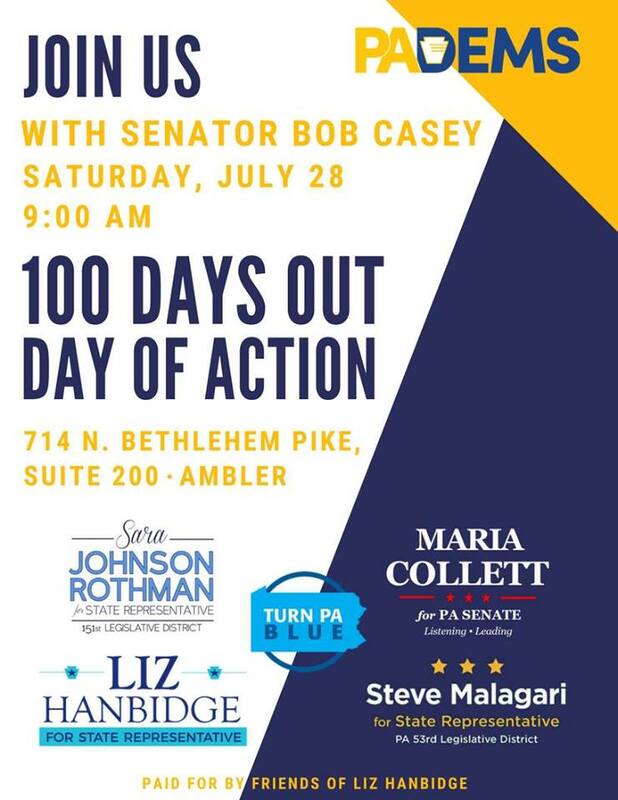 Meet US Senator Bob Casey and knock a few doors! Democratic State Legislative Candidates Maria Collett, Liz Hanbidge, and Sara Johnson Rothman have just opened their combined office, and there’s no better way to celebrate than to have Senator Casey come kick off Saturday’s canvass for Maria, Liz, Sara, and State Rep. Candidate Steve Malagari! No canvassing experience needed (we’ll teach you!) and you won’t go out alone (we'll pair you up if you don’t bring a friend! ).